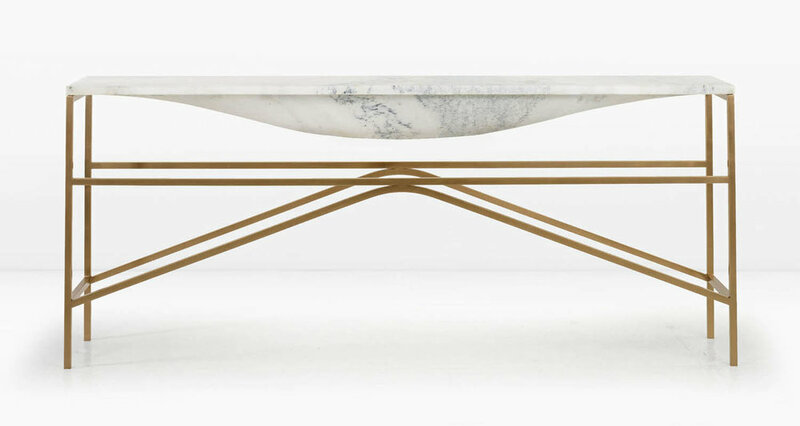 The Overlin’s bellied top is hewn from a single block of marble and then set atop a solid metal base. Shown with Statuary Marble top and Solid Silicon Bronze base (last 2 images with a Nickel base). This piece is also available with a White Marble top.